The Volkswagen GTI made its debut on American shores back in 1983. Back then, the GTI, based on the first-generation Golf, was a performance buffed version of the small, fun, but painfully slow economy car, and offered up a measure of athleticism and German handling for those who were interested in Teutonic vigor but couldn’t cough up the cash for a BMW or Mercedes. Almost four decades later, much has changed, but the 2019 Golf GTI, based on the seventh-generation Golf, still delivers European flair at a reasonable price. It may not be as affordable as it used to be, but it’s still a bargain compared to its premium brand brethren. For 2019, Volkswagen turns the volume up a bit, and adds 8 more horsepower for a total of 228, along with some performance hardware upgrades. Americans also get a new GTI Rabbit Edition to consider. It’s a throwback to the early Eighties, when the Golf was called the Rabbit in the U.S. market. For this review, J.D. Power evaluated a 2019 Volkswagen Golf GTI Rabbit Edition. The price came to $29,790, including the $895 destination charge. Before we discuss the results of our evaluation of the Volkswagen GTI, it is helpful to understand who buys this compact sporty car, and what they liked most and least about their Golf GTIs. The majority of Golf GTI owners are men, at 86%. Their median age is 46, and their median annual household income is $113,816. Two-thirds of GTI owners identify as Generation X, Y, or Z, and more than half of Golf owners identify as Performance Buyers, reflective of the lineup’s inclusion of the GTI and the Golf R.
In comparison to compact sporty car owners as a whole, Golf buyers are less likely to agree that fuel economy is a first consideration when they choose a vehicle (38% vs. 54%), are less likely to agree that they’re willing to pay more for a vehicle that is environmentally friendly (52% vs. 58%), and are less likely to agree that they will pay extra to ensure their vehicle has the latest safety features (67% vs. 74%). On the other hand, Golf owners are more likely to agree that their friends and family think of them as someone who knows a great deal about autos (75% vs. 52%), and that they need a versatile vehicle that accommodates a busy lifestyle (77% vs. 63%). Furthermore, 76% of Golf owners strongly agree that they like a vehicle with responsive handling and powerful acceleration, compared to 62% of compact sporty car owners in general. Golf owners are less concerned about high maintenance costs, with 37% strongly agreeing that they avoid such vehicles, compared to 42% at the segment level. Fewer Golf owners cite reliability as a first consideration when choosing a new vehicle, too (82% vs. 88%). Only 17% of Golf owners agree that a vehicle is just a way to get from place to place, compared to 24% of compact sporty car owners. Owners report that their favorite things about the Golf GTI are (in descending order) the engine/transmission, interior design, driving dynamics, exterior styling, and seats. Owners indicate that their least favorite things about the Golf GTI are (in descending order) the visibility and safety, infotainment system, climate control system, storage and space, and fuel economy. In the sections that follow, our expert provides her own perceptions about how the Volkswagen Golf GTI measures up in each of the 10 categories that comprise the 2018 APEAL Study. The current Golf debuted back in 2015, but Volkswagen designed it with an upscale appearance, the smooth, simple and sleek styling cues creating a mild but timeless look that remains fresh today. The GTI adds subtle visual cues that designate it as the Golf’s fun cousin, such as the saucy red line spreading across the fascia and into the headlamps, badging throughout, and red GTI-logoed brake calipers peeping out from behind the wheel. My test vehicle’s glossy, non-metallic Urano Gray paint – unique to the Rabbit Edition – added extra visual interest, with more than one person complementing the hue. The Rabbit Edition is basically an appearance package, with gloss black trim for the 18-inch wheels, side mirror caps, and rear spoiler. There’s also a sprinkling of Rabbit badges on the car and in the cabin, which charmed my 8-year-old. The fun continued with the GTI’s delightfully quirky Titan Black Clark Plaid cloth upholstery, which is included with S and Rabbit Edition trim. It’s distinctive and perfectly matches the GTI’s personality; it’s playful but not overbearing. Comparatively, the dashboard is fairly basic in terms of appearance, with little in the way of ornamentation, but the materials are of high quality and appear to be assembled with care. In a car such as the GTI, it’s critical to have a good set of seat bolsters to keep you in place while exploring the handling limits. The GTI provides, and as an added bonus, I was able to find a nice seating position, with decent thigh support and enough range of adjustment that I could depress the clutch with my unusually short legs while remaining comfortable far enough away from the steering wheel. Although rudimentary and hand-cranked, the front passenger’s seat included a height adjustment, which can’t be said of many vehicles far more expensive than the GTI. Also, as with any compact car, adult rear passengers will be squeezed in tight, with limited legroom and shoulder space. The GTI Rabbit Edition’s manual climate control system is simple and easy to use, with three large knobs for temperature, fan speed, and mode. Secondary settings are located above them, marked with small icons. 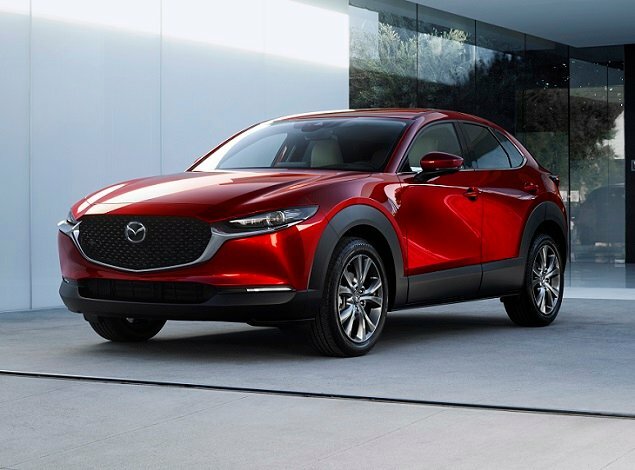 Higher trim levels include a dual-zone automatic climate control system along with front seat heaters. Volkswagen also reserves the latest in infotainment technology for higher trim levels of the GTI. My fairly basic Rabbit Edition test car made do without a larger 8-inch display, satellite radio, navigation, or Car-Net Safety & Security services. It did include Apple CarPlay and Android Auto smartphone integration, though, which might be all people really need. During my week with the GTI, I had to make several trips into Los Angeles, enjoying FM radio for the first time in awhile. My nearby suburb, located in a valley, is a dead zone for all the cool L.A. stations, which is why I pay extra for satellite radio in my personal vehicle. That’s also why I missed having it in the GTI Rabbit Edition. You’ll find useful bins and nooks for your small loose items, such as a generous glove box, huge door panel bins, and a tray for your smartphone. The center console storage bin is curiously small, though. The biggest advantage of having a hatchback is flexibility in carrying cargo, and in this regard the GTI excels. In my opinion, it is superior to tiny, subcompact crossover SUVs that cost just as much as my GTI but aren’t nearly as enjoyable to drive. Behind the rear seats, you can stuff 22.8 cu.-ft. of gear. Fold the seats down and you’ll get 52.7 cu.-ft of space. The rear seats are split 60/40, but there’s also a pass-thru for transporting long, skinny items like lacrosse sticks while retaining 4-passenger seating capacity. Thanks in part to the car’s excellent seats and slim windshield pillars, the GTI provides excellent forward visibility. The view to the sides and rear is terrific, too, making it exceptionally easy to place the car when threading through traffic and parking. New for 2019, Volkswagen makes automatic emergency braking with forward collision warning and pedestrian detection, as well as blind spot monitoring with rear traffic alert, standard or available across the GTI line. With the base S trim, you’ll only have to have $450 extra for these upgrades, which is a terrific deal. The 2019 Volkswagen GTI gets a “Good” rating in all Insurance Institute for Highway Safety (IIHS) testing parameters except for the small overlap frontal impact passenger-side test, which produced an “Acceptable” rating. Meanwhile, the folks at the National Highway Traffic Safety Administration give the GTI a 5-star overall rating. Volkswagen sure knows how to wring out the last ounce of pleasure from a turbocharged engine. You might think that 228 horsepower—an increase of 8 ponies from 2018 – might not sound terribly exciting, but every last one is maximized to deliver smile after smile. And the torque, 258 lb.-ft. of the stuff starting at just 1,500 rpm, is glorious. Let out the clutch, step on the gas, and there are no dead spots in the GTI’s power delivery. 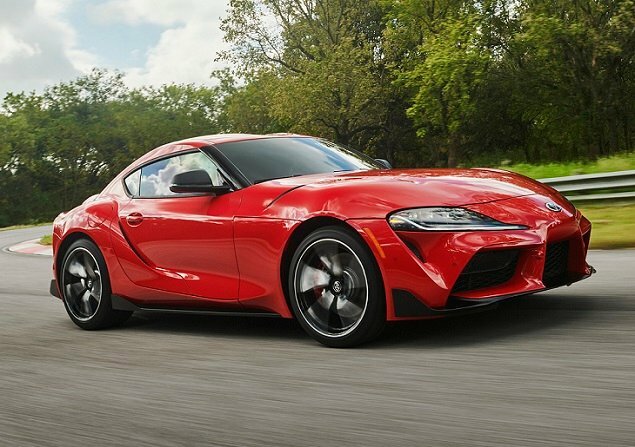 Joyfully abundant power and torque are on tap through every one of the six gears, rowed using a tactilely pleasing round shift knob with dimples that resemble a golf ball. Clutch action is a little long, and I stalled the car a couple of times before I got used to it. The shift action is a bit long and notchy as well, and very different from the snick-snick attenuation of a Japanese gearbox, but it’s all a part of its Teutonic charm. Running this engine to redline is seriously addictive and hedonistic. It’s no wonder that owners cite the engine as their favorite aspect of GTI ownership. The EPA estimates that you should get 27 mpg in combined driving conditions. Even with my overenthusiastic right foot and multiple gratuitous trips to the local canyon roads, I was able to extract 26.1 mpg over the course of a week of driving. Given this result, it’s odd that GTI owners are dissatisfied with their cars’ fuel economy. Perhaps it has to do with the engine’s premium fuel requirement. As is true of small Volkswagen models, you can sense the skilled hands of the company’s engineers working their magic as soon as you put the car into gear. In common driving situations, the GTI feels planted to the road but nevertheless delivers a remarkably silken ride that absorbs most of the harshness from the road. Get the GTI onto a twisty, scenic road, and its relative docility transforms. 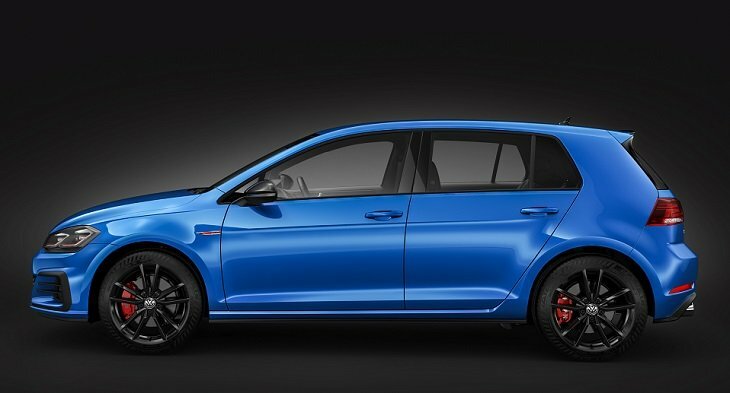 While body roll does make its presence known, a combination of light and precise steering, Golf R-sourced ventilated disc brakes (standard on all GTIs for 2019), and an otherwise taut chassis gives you a sense of confidence and the ability to toss the car into a tight turn and come out on the other side clamoring for more. New for 2019, every version of the GTI benefits from a standard torque-sensing limited-slip differential – also known as VW’s VAQ differential – that was a part of the rabble-rousing Golf R’s drivetrain. 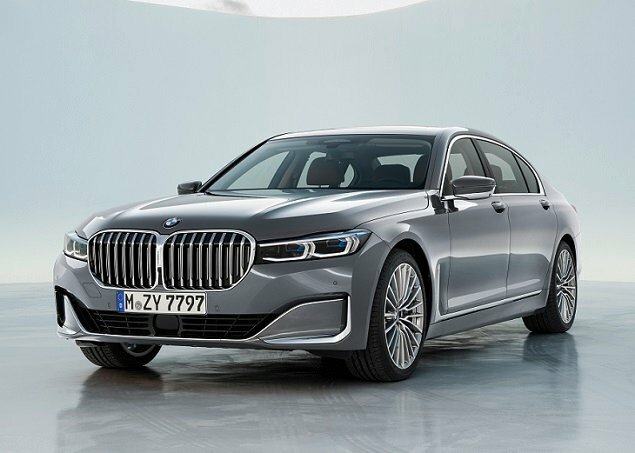 It variably distributes the engine’s torque between the front wheels to enhance traction and reduce the steering nonsense that can sometimes befall a front-wheel-drive vehicle. Together with the Bridgestone Potenza R-rated tires, the GTI stuck its landing every time. Those seeking greater ride and handling refinement might consider the available adaptive damping suspension (optional for SE and standard for Autobahn trims), and for maximum performance Volkswagen offers the more powerful, all-wheel-drive Golf R.
But really, if you’re looking for driving fun and enjoyment on a tighter budget, you really can’t ask for much more than a basic Volkswagen Golf GTI. Volkswagen spent about $60 billion developing the MQB platform on which the GTI sits, along with the majority of the company’s modern vehicles. The architecture serves as the basis for everything from the compact Golf to the gigantic Atlas SUV, and underpins several Audi models as well. It is a robust foundation upon which to base a car. In other words, as applied to the Golf GTI, the underlying structure is over-engineered, and that lends the car a sense of quality and solidity that many comparably priced vehicles lack. Add the undeniable functionality of its hatchback configuration, laugh-inducing driving dynamics, and Volkswagen’s generous 6-year/72,000-mile bumper-to-bumper transferrable warranty, and the Golf GTI is a relatively affordable way to enjoy almost every aspect of your daily drive – without giving up an ounce of practicality. Volkswagen of America, Inc. supplied the vehicle used for this 2019 VW Golf GTI review.